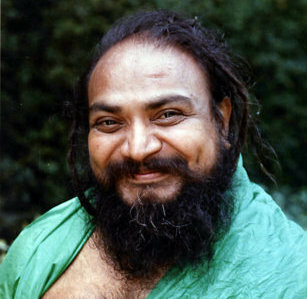 I’m interviewing a very special guest, an enlightened yogi called Shivarudra Balayogi, henceforth referred to as Babaji. This is a podcast about the spiritual path of devotion and meditation, the traditional guru-disciple relationship, and the intense spiritual practice called Tapas, that culminates in complete and permanent Liberation. As you know, the LiveAndDare blog is about meditation, personal growth, and non-sectarian spirituality. This specific podcast episode is focused on spiritual life and spiritual awakening, from a very traditional point of view. If you are highly skeptical, or only interested in meditation only for stress relief and health purposes, this episode won’t speak to you much. You can refer to our other episodes for that. But if you are seeking enlightenment, spiritual awakening, then this is a gem. In the past 16 years in my journey, I have met several spiritual figures – teachers, masters, monks, yogis -, but only two of them I feel in my heart are fully enlightened, or Self-Realised. Babaji is one of them. I recorded this after the first day of retreat in Perth, Australia, in October 2015. I couldn’t keep this episode to the regular 40min, because there was a lot of interesting experiences and concepts covered, so I did less editing than usual. Also, this recording happened in an open room, with not the best audio conditions, so the quality will be not as clear as you are used to, and some background noise will be there. But the message still shines through powerfully. In the first half we are talking about his early years in the spiritual path, and meeting with his master, Shivabalayogi Maharaj (picture on the left). Before meeting his guru, his biggest influences were the sages Adi Shankara and Sri Ramana Maharshi, both Advaita Vedanta exponents. Then we talk about his process of Tapas, and how he became finally awakened. At the end, I ask him some general questions about spiritual practice. There are said to be four paths to Liberation: Knowledge, Devotion, Service, and Meditation. (Read here for more details). For Babaji, the path was strongly a devotional one, with his Guru embodying his ideal of self-realization. It was also intensely a path of meditation, especially towards the end of it, when he was meditating in average 18 hours a day, every day, for 5 years. Babaji, of all teachers I met, has the highest standards. He defines that the true meditation state starts only when you can keep the mind perfectly concentrated, undistracted by any thoughts, for one hour. And the highest spiritual practice, called tapas, is when you can keep in this state for at least 8 hours at a stretch. Tapas means to “cook” or “burn”. It culminates in Nirvikalpa Samadhi, which is a state in which all ego and mental tendencies dissolve permanently. After that, there is no further need for meditation. I hope this interview be as inspiring for you as it was for me.